Sharp-shinned hawk with prey, location unknown, August 2008. Image courtesy of Wikimedia Commons. Sharp-shinned hawk, Michigan, 2011. Steve Berardi, image courtesy of Wikimedia Commons. 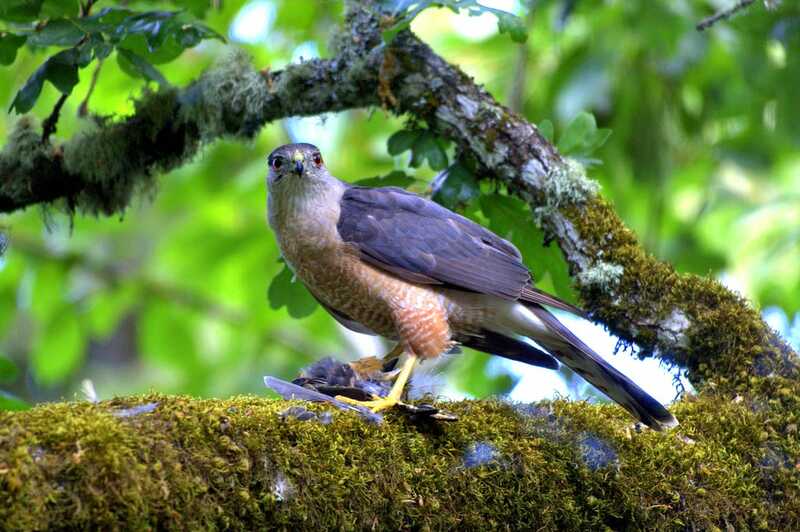 This small hawk strongly resembles the Cooper’s Hawk. Like the latter, it has a slaty gray back, reddish brown barred front, and banded tail. 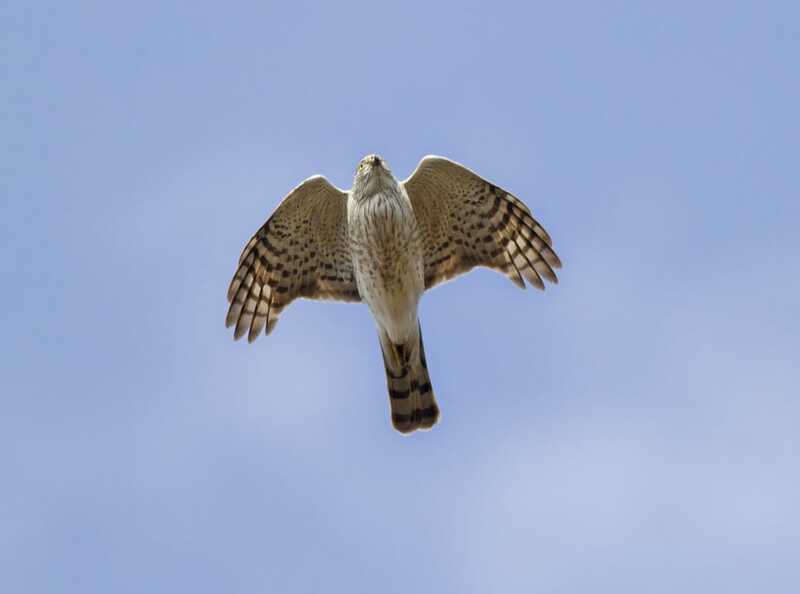 The Sharp-shinned hawk’s head is a bit smaller and the neck shorter; its tail is squared off rather than rounded. Females are much larger than males. The Cornell Laboratory website has a very good tutorial on distinguishing the two species. The “sharpie” is a notable predator of small birds. These plus small mammals make up almost its entire diet. When stalking its prey, it flies rapidly toward the victim and snatches it up with claws that are well adapted for the purpose since they have extra long middle toes. It often visits feeders. The species nests in dense forest, usually conifers. It is so secretive that much is still unknown about its breeding behavior. It is highly territorial at nesting time, and partially migratory in spring and fall. Probably primarily food in the form of SBG's small bird residents. This species has a year-round presence in central Pennsylvania, though the same individual may not stay all four seasons.